Yachtcharter-Connection complies with the European Union General Data Protection Regulation (“GDPR”). The GDPR requires that we take particular measures to protect the personal data of E.U. residents. If there is any conflict between the policies in this policy and GDPR, the GDPR principles shall govern. If one of these organisations is outside of the European Economic Area we will make sure they agree to apply the same level of protection of your information as we are required to apply in Spain. If a European Union resident is dissatisfied with the handling of your personal data by Yachtcharter-Connection, you have the right to object to processing of your personal data at any time (Article 21 GDPR). 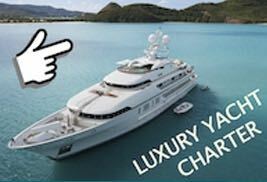 You may send your concern about the processing of your personal data to the Data Protection Officer of Yachtcharter-Connection under the email address given above. We kindly ask you to send such concerns (or objection) in written form stating your name, address and phone number, so that we can confirm your identity.